The next task on my agenda was to level a Warrior. I’d been putting it off for a bit mostly due to my reluctance to play one because of my DK. They don’t get along with each other, much like Dark Knights and Dragoons didn’t like each other during my FFXI days. One was always trying to outdo the other and take their spot in the group/raid. 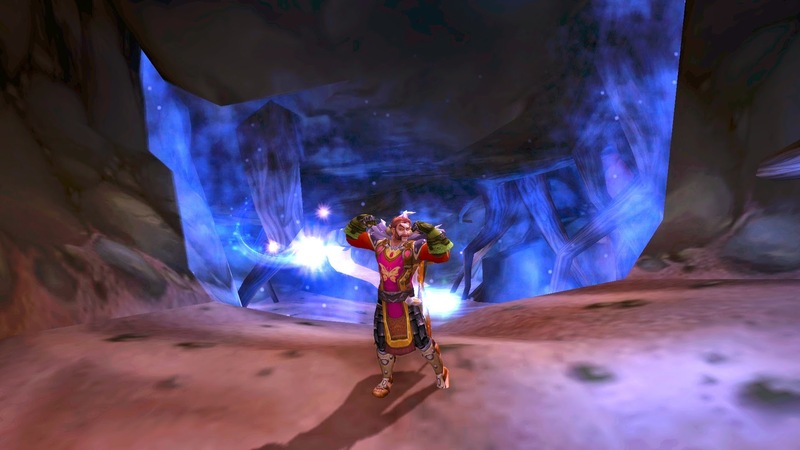 My fear was that once i finished it, my DK would become obsolete since Warrior brings more to the table so to speak. I said screw it and rolled a Protection Warrior. This time though it’s on the Alliance side. My first character not Horde since my first ever character still sitting at 55. I’d been contemplating switching factions for a while now since i really missed being human, so i figured i may as well level my next alt from scratch on that side. Let me tell you, Protection Warrior is infinitely more fun than Blood DK since the ability pruning occurred. Everything about it feels better to me. Not to say Blood DK is bad but it’s just lacking that something. 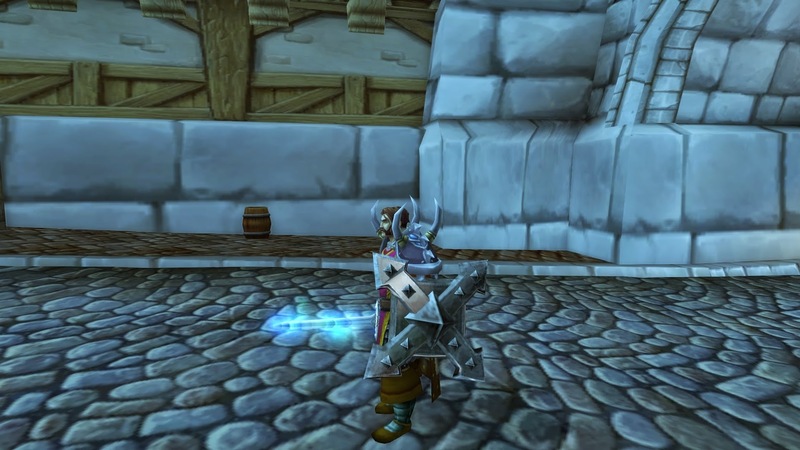 Now, one does not level as a non DK tank without a good looking shield transmog. What better shield for low levels than the amazing Hulking Shield of course. I call it the mini Bulwark of Azzinoth, which everyone and their mother uses at max level for their skin. Ironically i plan to change that once level capped, but that’s another story. Now on the auction house it would have cost me 1700 gold which was 1700 more than i had! It was time to farm myself a dungeon. Awesome Tabard Credit Goes to Montee’s Daughter! According to multiple sources, my shield of choice had the best drop chance within Blackfathom Deeps. It was a dungeon i was leveling in anyway so i figured i’d just spam it for as long as it took to acquire. Well after a dozen or so runs i grew quite bored and decided to attempt to solo the run to save some time. This was accomplished by skipping a few bosses and going straight for all the mobs known to drop the shield. Obviously i didn’t want to do this in an exp party as that would inevitably annoy everyone. I wasn’t even sure if i could solo the dungeon since i was at that point only level 30 and still withing ten levels of the actual mobs. 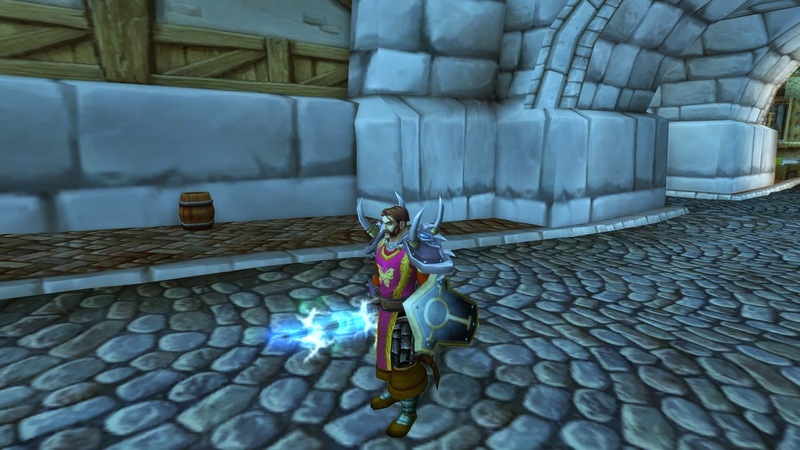 Then i was reminded how ridiculously easy all the heirloom gear and enchants made most content. I breezed through the dungeon while only really being on the verge of death on one particular situation where i got lazy and decided not to move from an ability. Other than that it went pretty smooth. Well after six entire level i managed to ding 36 and still had no drop. The mobs stopped giving me exp at that point so it was time to bail. While it seemed i wasted my time, i managed to get myself to the proper level to do a quest to obtain Spiritual Barrier, which had the exact same model as the shield i was farming. Perhaps i should have done that all along, but then i’d have never attempted to solo, which turned out to be a lot of fun. I even recorded the fun in glorious 60 fps. So buttery smooth.